You know that EVERY interaction with your audience adds to their impression of you – whether it’s your sparkly, amazing website design, your luscious business card that everyone oohs and aahs over, or your YouTube channel banner. In fact, I was just listening to Tash Corbin today talking about where to start with branding/rebranding your business, and she suggested to start with the things that get the most interaction from your audience, i.e. your Facebook page, and your Youtube channel – because really, unless you’re the Huffington Post, your social media is where all the interaction is happening and your site is not. So, here’s today’s tutorial on how to put together a great banner for your YouTube on Canva. 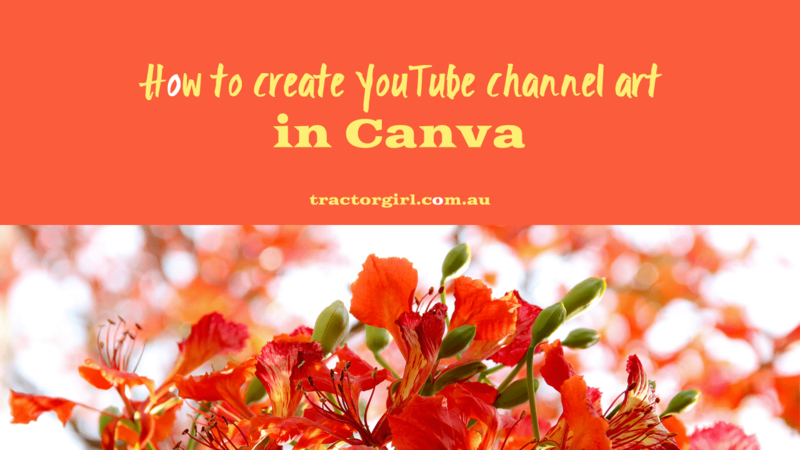 There are a couple of SUPER important things to remember about your banner for Youtube, especially the size and placement of your text – and so I go through how to use Canva’s guides and snap tools to help you (and I explain why NOT to use any of Canva’s templates for this too!). As mentioned in my last post, I’ve got a Canva Masterclass happening VERY soon – it starts on Thursday, 16th March. If you’re launching anything anytime soon (a new product or service) or even if you just want to raise your social media profile, I suggest you check it out. You can learn next-level Canva skills and create a whole social media campaign from the ground up, with tonnes of individual attention in a small group setting – find out more here.